A miraculous bound forward in Australian veterinary care is now in full swing. Malcolm Turnbull MP officially launched the nation’s first MRI (magnetic resonance imaging) machine – for exclusive use on animals - at the Animal Referral Hospital (ARH) in Sydney; at the end of May. 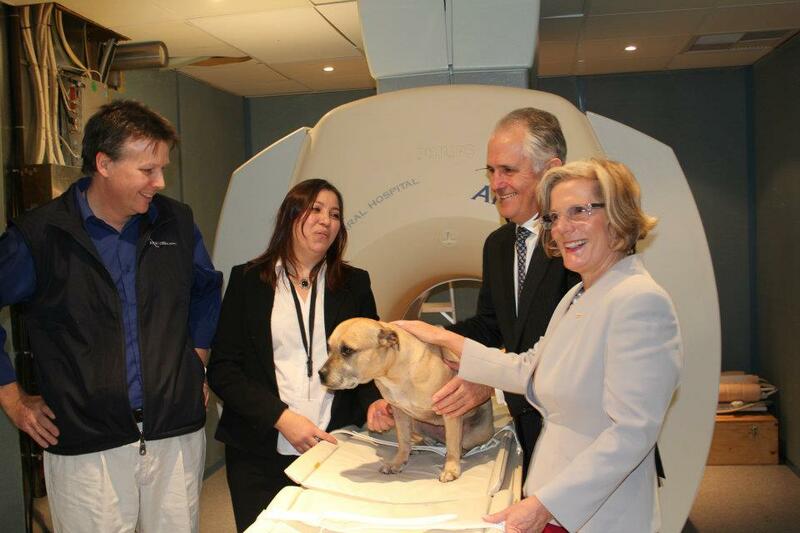 The machine is named after Mr Turnbull’s dog Mellie, who died in December last year due to ill health. The machine has been specifically designed for companion animals, with technology of the same standard as MRI equipment produced for diagnostic use on humans. A MRI uses a combination of magnetic fields and radio waves to provide images of internal body structures such as the spine and brain. These images will help veterinarians to more easily investigate dog’s brain disorders, invasive cancers, spinal cord dysfunction, nerve pathology and more. This means invasive surgery to diagnose health conditions can be prevented. Having this much needed resource onsite will save crucial time for critically ill patients; as these patients previously had to wait for access to human facilities, which was limited. This new high-field MRI will also enable veterinarians to use shorter, safer anaesthetic on pets compared to a low-field MRI and will capture clearer images. The MRI will not only benefit patients at the ARH but its 24/7 access will enable local vets to request an MRI scan for their patients and have the reports sent back to their own practice. The ARH is in contact with specialist veterinary radiologists around the world, ensuring timely assessment of images. The best news is that this new service will be within the means of many Australian pet owners, as it is covered by health insurance.